By the king's edict, Alec Kincaid, mightiest of the Scottish lairds, must take an English bride. And Jamie the youngest daughter of Baron Jamison, is his choice. From his first glimpse of the proud and beautiful English lady, Alec felt a burning hunger stir within him. This was a woman worthy of his fearless warrior's spirit. And he aches to touch her, tame her, possess her...forever. But with the wedding vows, Jamie pledges her own secret oath: She will never surrender her love to this Highland barbarian. He was everything her heart warned her against -- an arrogant, brooding scoundrel whose rough good looks and seductive embrace fire her blood. But when strange accidents begin to threaten Jamie's life and an old rumor that Alec killed his first wife spreads anew, something far more dangerous than desire threatens to conquer her senses. Jamie is the youngest of her sisters, but is the one that has always protected them. For her that is normal, however for most families…its not. So when the king orders that one of her sisters marry Alec Kincaid, she is at a loss on how to comfort them..for they will have to marry a scot and a barbarian. However when she meets Alec, he chooses her as his bride. At first Jamie doens’t comprehend why he would want to marry her, but knows that she has no choice, better her sacrifice than any of her sisters. So with both her and her sister Mary married off to his friend, they head out to Scotland, not knowing how her life may change. At first all that exist between Alec and Jamie is confusion, opposite personalities and a powerful desire that fires up the blood. However as things progress between these two, a tender love develops. 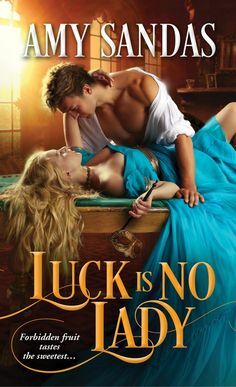 Alec Kincaid has been ordered by the Scotland King to marry a daughter of a English Baron, so when he looks upon Jamie, he is enthralled by her beauty, and decided to claim her as his wife. Alec is a powerful warrior and is friends with his Scotland King, however he is now married to one of them most confounding women he has ever come across. Her logic doesn’t make sense to him, however he is falling in love with her, and desires her greatly and will do everything that he can to keep her in his life. The Bride is one of the historical’s written by Julie Garwood. Its also one of my favorite type of story plots that I enjoy reading. I know I have read this one before now, however I know its been along time since there were moments that I was surprised and part I didn’t remember. So it was good reading this again, and getting to know these characters and what a great story it is. We have a heroine that isn’t appreciated, who was practically treated a a servant, and Alec is very protective of her, and shows her what its like to be appreciated and cherished. Something she has never experienced before until she meets him. Such a truly magical story with love and passion and some mystery aspects to heighten the blood, and one that will delight you!!! I loved it!!! “I want you Jamie,” Before Jamie could catch her breath, he cupped the sides of her face and claimed her mouth. Jamie’s last coherent thought was that Alec Kincaid certainly knew how to kiss. With more than 35 million books in print and 26 NEW YORK TIMES bestsellers, Julie Garwood has earned a position among America's favorite fiction writers. Born and raised in Kansas City, MO, Ms. Garwood attributes much of her success to growing up in a large family of Irish heritage. "The Irish are great storytellers who relish getting all of the details and nuances of every situation. Add in the fact that I was the sixth of seven children. Early in life, I learned that self expression had to be forceful, imaginative, and quick," says Ms. Garwood. She began her writing career when the youngest of her three children entered school. After the publications of two young-adult books, she turned her talents to historical fiction. Her first novel, GENTLE WARRIOR, was published by Pocket Books in 1985. Since then, she has branched into other genres including contemporary romantic suspense. Today, her name appears regularly on the bestseller lists of every major publication in the country, and her books are translated into dozens of languages around the world. Her bestselling novel FOR THE ROSES was adapted for the HALLMARK HALL OF FAME television movie ROSE HILL.